I am a single, independent financially stable African American man seeking to find an eligible, attractive good natured single latina woman. You are looking for a single eligible man with no romantic attachments or problems from previous relationships. I am free to begin serious lasting relationship. I was raised in a Christian home by 2 loving parents(dad is now deceased), good family values. I have many interests which include being outdoors, music, dining out, the beach, cinema and arts. If you would like to know more contact me anytime. 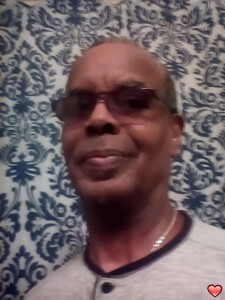 I am looking for an independent, attractive, ope87n-minded woman who wants to be with a suitable man for marriage some day. She would be between 30 and 50 years of age, single, divorced or widowed and willing to relocate if necessary. Does not matter if have children or not. She loves the outdoors and likes to travel. Hello my dear, My name is Destiny, I'm from the United States of America,I was so thrilled after going through your profile and i loved it so much and i would like us to be friends and i'm also comfortable with your age okay, so please directly inbox me back soon through Allredx75@gmail.com so i can tell u more about myself and also send you some of my pics okay, i love and cherish you so much as my new online best friend okay.